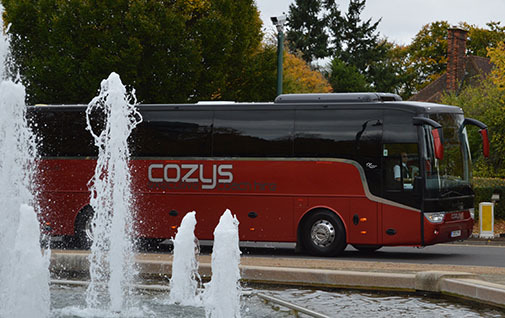 Another Van Hool coach has been addeded to the fleet, again in a stricking colour. With space for one wheelchair and three seats downstairs, the rest of the 56 seats are upstairs. 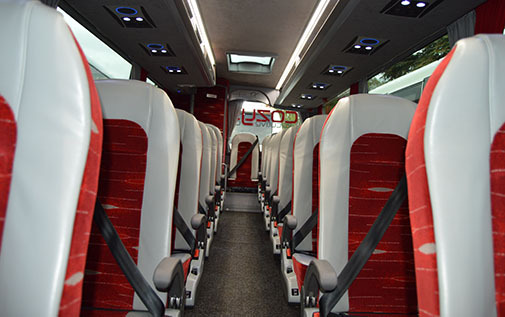 The coach has full leather reclining seats, arm & foot rests, limited number fitted with all age belts and ISOFIX, climate control, DVD with three monitors, rear floor mounted toilet (no stairs), two fridges and two hot water boilers. 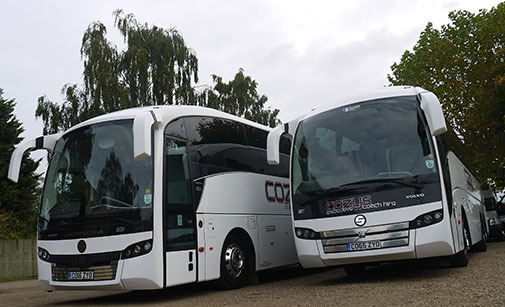 October saw the addition of another disabled access coach to our fleet. 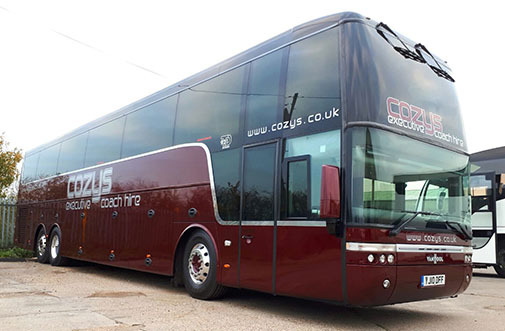 Not only does this Van Hool coach come in a very striking colour, it has a side entrance wheelchair lift and can accommodate up to four wheelchairs inside. 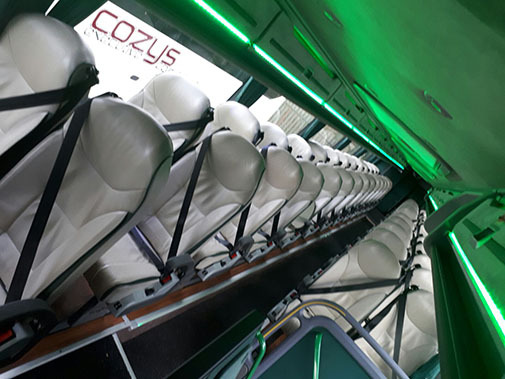 Once inside the coach has half leather reclining seats, arm & foot rests, climate control, DVD with two monitors, rear floor mounted toilet (no stairs), fridge and hot water boiler.